Creators of the AL13 were looking for a sleek and high quality iPhone bumper case but could never find something that fit their needs. Cases were either too cheap in material and build quality or overly expensive and unaffordable. They decided that if they couldn’t find it on the market, they would craft it themselves. Welcome the AL13. 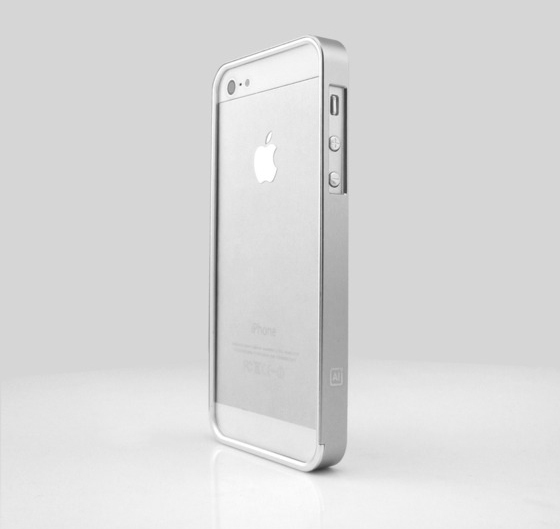 The case features an aerospace aluminum build with rubber bumper interiors to keep your iPhone scratch free. It uses a slide cover so putting it on is super simple. It weighs less than 16 grams and comes with an anodized finish in red, black, silver and a special Kickstarter green. If Apple put in as much work into their iPhone bumper cases as they did their computers and tablets, this is what it would look like. Be the envy of all your friends. Support designed by m and see to it that you get yourself the only case you’ll ever need. The goal of $20,000 has been reached but you’ve still got time to pick up a case before it retails for $79.99 in April. The early adopter price of $45 is not available anymore but you can still pre-order one for $55 and if you’re looking for the special edition green case, it’ll be $10 more.